FREE $10 VISA Gift Card When You Purchase $30 Participating Products! You are here: Home / FREEbies / FREE $10 VISA Gift Card When You Purchase $30 Participating Products! 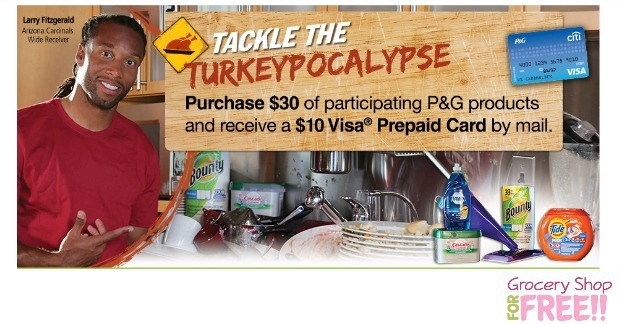 Right now P&G is offering a FREE $10 VISA gift card When You Buy $30 in participating products at participating retailers!